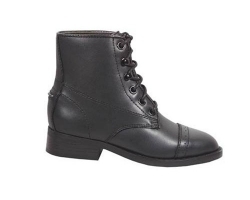 Stylish riding boots! A man-made lace boot. Has taibrelle lining, paddock toe, riding heel, TPR sole and steel shank for easy riding. Also available in child sizes!